Our California travel guide, the CABBI Travel Guide, is the best resource for B&B and boutique inn travel information in the state. This 140-page guidebook has been carefully designed with the B&B and boutique inn traveler in mind. * We apologize – the CABBI Travel Guide is currently out of stock. Please view the digital version or browse our website to find the perfect inn. 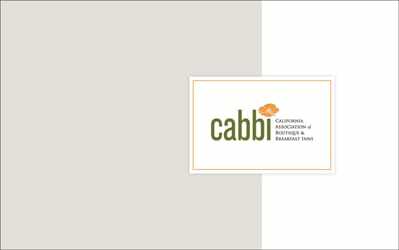 Click the below to view the digital version of the CABBI Travel Guide.